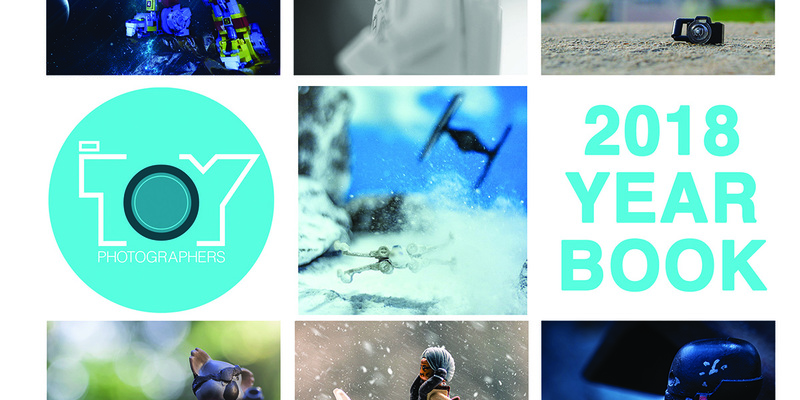 It’s finally here…The Toy Photographers Yearbook 2018! We created this book to showcase all of the amazing photographers who participated on the blog in 2018. 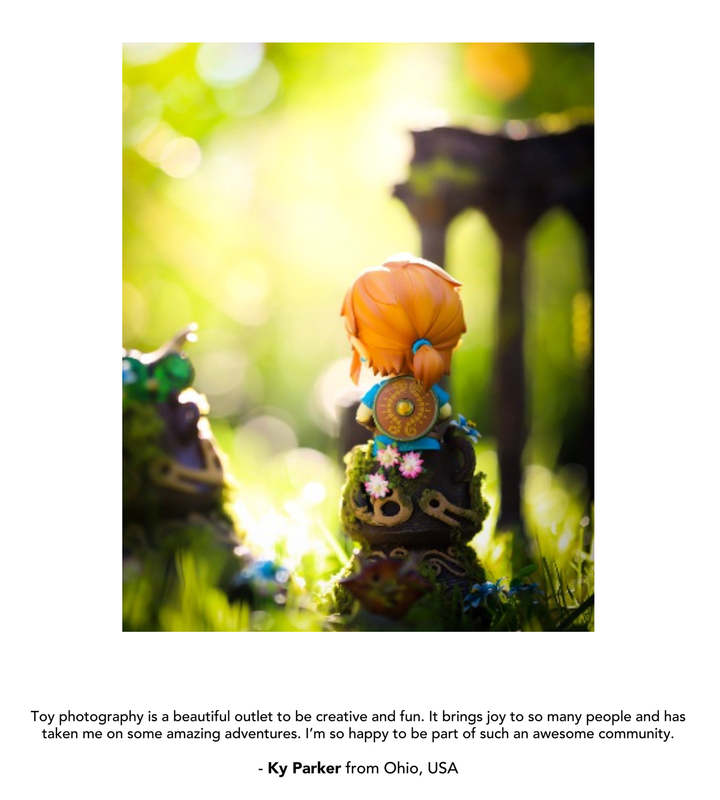 Each page showcases one of the many talented folks who make up our community, plus a few words about what toy photography means to them. This years book features even more amazing photographers than last year! 61 to be exact! Whether they graced the blog because they were one of our growing group of regular contributors, or one of the 101guest posts or one the 51 Six Image Narratives, you will find their work celebrated in the 2018 Yearbook. Last year we asked each photographer to share a few words about themselves. 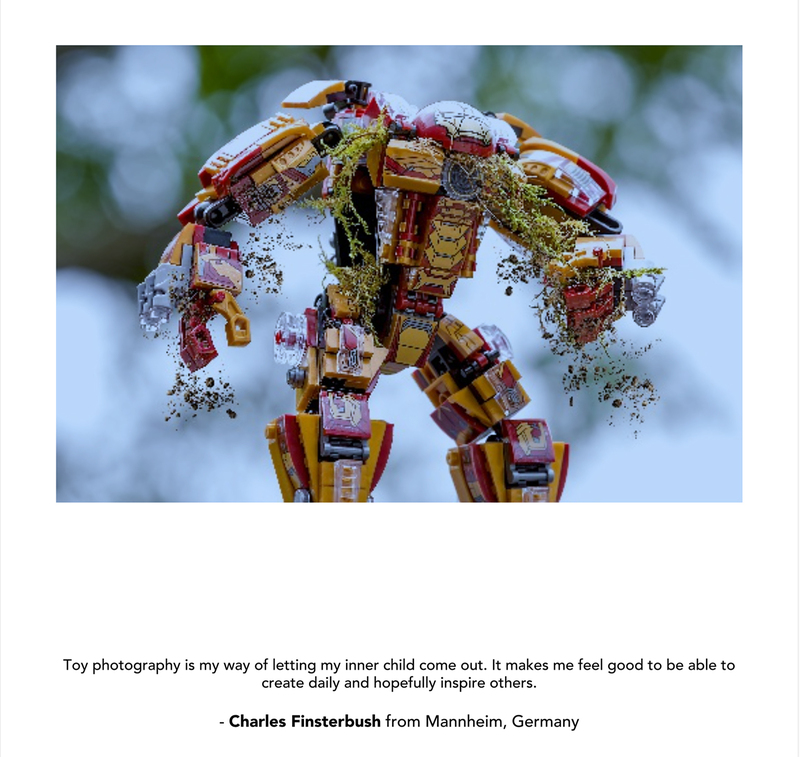 This year we changed it up and asked each participating photographer to tell us a few words about what toy photography means to them. Think of these two to three lines as mini “Why?” statements. With so many different reasons brought together under one title, a strong case was created for the power of toy photography. The combination of words and photos makes this years yearbook a visual treat with an emotional edge. 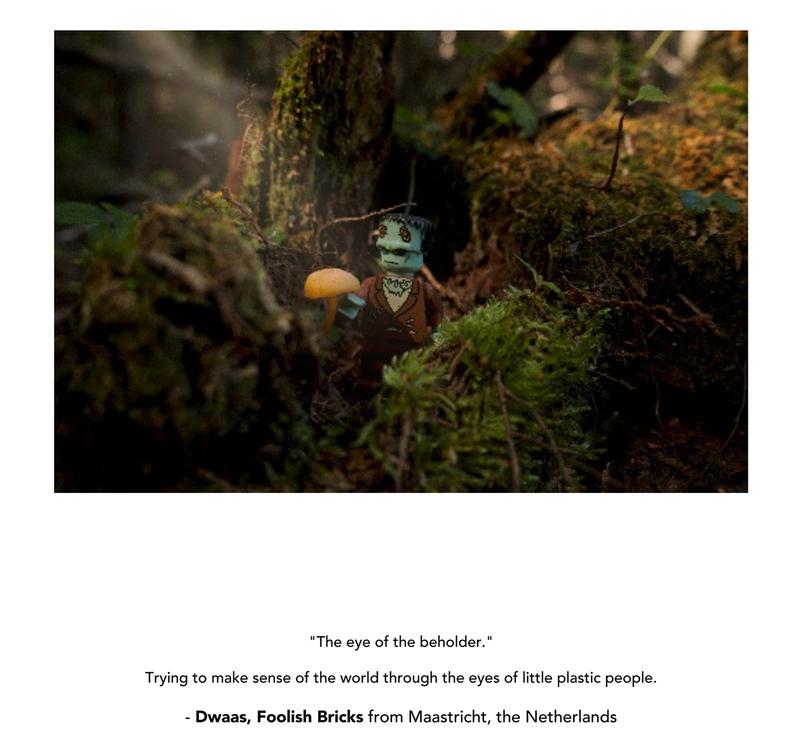 The 2018 Yearbook is a moving tribute to toy photography and the important part it plays in our lives. Yes, we’re asking you to buy the 2018 Yearbook. This book is our annual fundraiser that helps us continue our mission to bring you the best of toy photography. By purchasing this book, in either a soft cover version or the eBook version, you’re not only supporting the blog, you’re sending us a vote of support. It’s a vote of confidence that says you love what we do. 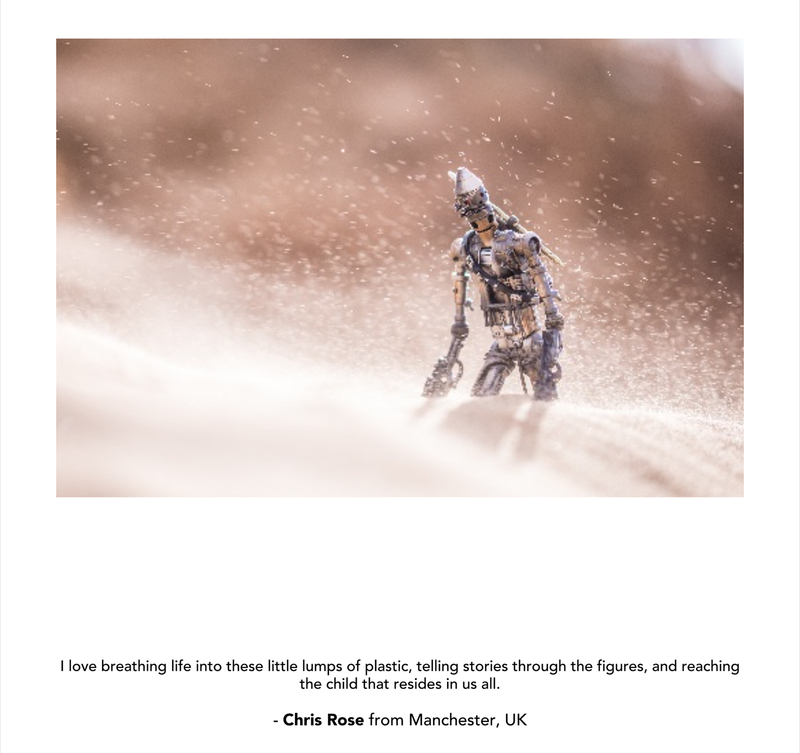 By purchasing a copy of the 2018 Yearbook, you’re telling us that you love toy photography, that you want to support your fellow toy photographers and you want to support the work we do on this blog. That is a lot of benefit for the low cost of $55.61 for the softcover, $14.99 for the EBook and $9.99 for the PDF. Like everything we do on this blog, this book wouldn’t have happen without a team effort. So a few thank you’s are in order. First a HUGE thank you to Lizzi S. Without Lizzi’s help ushering this project through its many stages, beginning with the first email back in October, this book would not be for sale today. Thank you to teddi and Brett for proofreading and the endless hand holding. And thank you to Dave who helped design the cover…way to go Dave! Next I want to thank ALL the photographers in the 2018 Yearbook. Thank you for sharing your work, your thoughts and your creativity with us. When I flip through the pages of this book I’m once again impressed by the beauty of your images. Thank you for sharing them with us! Don’t delay, buy the 2018 Yearbook featuring 61 awesome toy photographers! Each sale is a vote of support for your fellow photographers and a vote that you appreciate what we’re doing. But like all good things, this book will not be available forever. You have until March 16h to make your purchase. I know you’re already saying to yourself that you have plenty of time, but you don’t. Just ask the folks who had six weeks last year and still complained they missed their chance to purchase. Don’t be that guy (or gal)! Buy the book now! Ordered! Can’t wait to get my hands on it! Ordered mine. Though tempted by a pdf version too as I’m quite impatient. Thanks for your support Dan! It will be worth the wait, trust me!! Thank you to all the photographers that participated with their photographs and thoughts. And a huge thank you to Lizzi, Dave, Teddi and of course you Shelly, for all the work that went into making this memento of yet another amazing year!